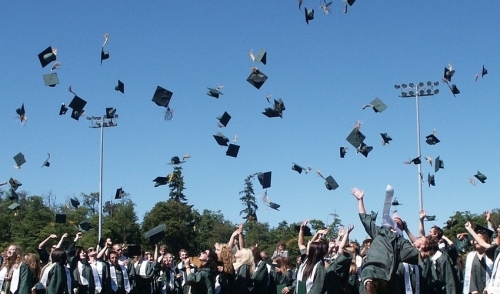 Graduations happen year round depending on the time and type of school you go to. Some happen as early as April and as late as December. First and foremost, congratulations to you and the individual close to you who is graduating high school, college, or even something bigger this year. It’s not an easy journey and there’s not a prouder moment in someone’s life than walking across that stage, shaking the hand of your dean or principal, and receiving a diploma. Yet, for those who have already been through this process, you know that the graduation party is probably the best part out of all of it. Graduating is a huge moment in anyone’s life and it deserves to be celebrated with the people that helped get you there, your friends and family. Before the party can kick off the planning must begin. Invitations must be sent out and supplies must be gathered to handle all of your guests. The best way to gather what you need for the party is to rent what you need for your graduation party. Your local party rental store will offer a huge range of essential graduation supplies as well as original items to make your party is extra special. There are many supplies or themes you can choose from. Some people like to keep things simple with a barbecue, but many folks like to go all out with themes. For starters, you must have a tent! You may be able to get away without having tables and chairs, but a tent no way. Unless you already have some form of natural shade, renting a tent is like purchasing weather insurance. It’s not only going to provide shade, it can also protect you against rain. Tents come in all shapes, colors, and sizes. However, out of all the supplies, tents are rented out the fastest so make sure to call your local rental company early to reserve yours. To have a general idea, a 20’ x 20’ tent can hold up to 40 people. Consider renting side panels also to block the sun and wind in areas of your party where it’s needed. If you opt for a themed party you can rent almost anything you can think of that both kids and adults alike will love. For example if your party is Casino themed, you can rent poker tables, blackjack tables, roulette wheels, and even slot machines. If you’re old school like me you like to go with the classic carnival type materials such as snow cone machines, sumo suits, and a bouncy house to keep the kids busy while the adults enjoy the refreshments. You can also rent anything you need for a live bands or quality speakers so that the party never stops. Stop by your local party rental store as I guarantee they will have everything you're looking for your next graduation party. Renting will save you money and costs can also be shared amongst family and neighbors. With the proper coordination you can make your graduation party the party of the year! It all starts with visiting your local rental store to see all the fun things they have available. © 2019 Jefferson Rent-All & Party Plus . All rights reserved.